April might be halfway over already, but you still have time to celebrate National Poetry Month. 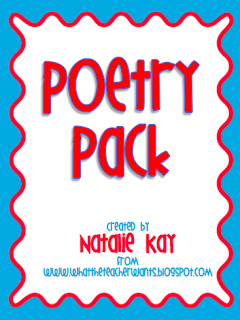 My Poetry Pack is a perfect way to help you get started on teaching poetry! 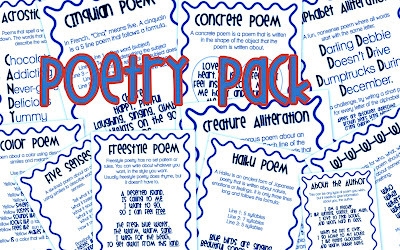 It will walk your students trough 11 different types of poetry showing descriptions and examples of each. 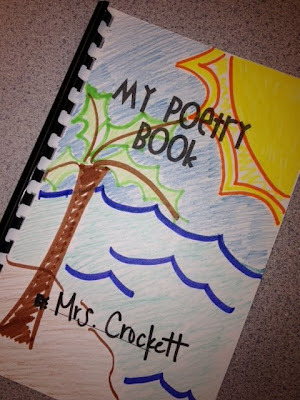 At the end, students can collect all their poems in their own little poetry book. And, before I go, I have a super sweet story to tell you all. My students have been working on their poems for a little while now and we've had many conversations about how poetry is great way to let your emotions out. Yesterday morning when my students came to class they were all telling me about the tragedy in Boston. One of my 5th graders raised her hand and said, "Remember how you said that poetry is a good way to let people know how you feel? Well, can we write poems about how we feel about Boston?" Reviewing the WHOLE Common Core Math!